The MHPS is currently seeking applicants for the position of police constable. Applicants will be selected from this process will be sworn in as police cadets and commence 20 weeks of police recruit training at the MHPS starting on January 6, 2020 and ending May 20, 2020. Police Officers are frequently called upon to fulfill a wide variety of roles during the course of their duties. These duties range from law enforcement and criminal apprehension through traffic control, domestic arbitration and crime prevention. It is a profession that means a new way of life by serving the community in a truly meaningful role that is both challenging and rewarding. The Medicine Hat Police Service, a great future career in excellence, service, and personal growth. Members of the police service enjoy a wide range of employee benefits. We expect a great deal from the people we select to serve the citizens of Medicine Hat as police officers. Our members must have exemplary moral character, a high degree of personal integrity, display sound judgment, intelligent decision making, maturity and common sense. The importance of having these traits cannot be stressed enough – nor can they be taught. These are the foundations of what makes a good officer. Canada or the United States for three years). Class 5 Driver's license (non GDL) with no more than five demerit points. Please note that these requirements are a prerequisite and you must meet them to apply. Also, remember that having the minimum requirements allow you to apply, but does not necessarily mean you will be successful in our competitive hiring process. This questionnaire is provided for you to assess your suitability for a career in policing. You know your strengths, skills and abilities better than anyone else. I meet the minimum requirements. My lifestyle is one that exhibits high moral character. I am able to work with all kinds of people in a variety of situations. I have self-confidence to be assertive when the situation demands it. In the face of uncertainty, I can make necessary decisions. I am the type of person who seeks out a challenge. I am physically fit, emotionally stable and responsible. I am prepared to work in all types of weather conditions. I have considered the impact that shift work will have on my home life. I am just as comfortable working alone as in a team environment. I am willing to work shifts, including evenings, nights and weekends at any time of the year. I have no medical conditions that will limit my ability to do police work. I am able to use my own initiative and work with a minimum amount of supervision. My experience reflects an ongoing interest in serving my community. My moral, philosophical or religious beliefs would not prevent me from using deadly force if required. To understand how the new Cannabis legislation effects employment with the MHPS and for a list of other Frequently Asked Questions click here. If you think you are ready, or would like any more information about a career in policing with the Medicine Hat Police Service contact a member of the Recruitment Team at recruiting@mhps.ca. 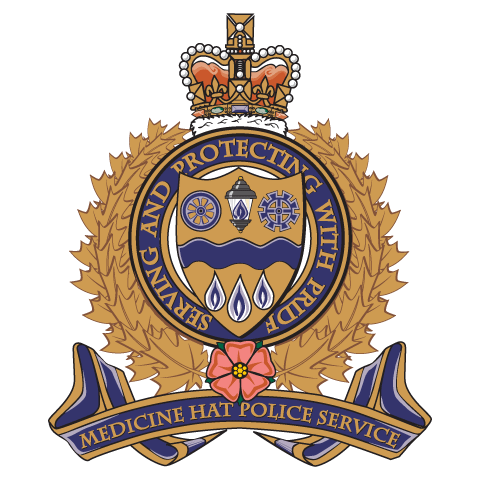 MHPS Promo from Medicine Hat Police Service on Vimeo. Collective Agreement Between the Police Association and the City of Medicine Hat view document here on the City of Medicine Hat website.